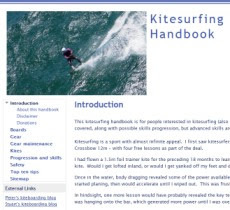 Back from overseas and really keen to do some kitesurfing. Stuart and I headed down to Hampton Beach with the wind on the up. When we arrived mid afternoon there were no kites out but a lot of yachts and some good wind. We got onto the water but the wind dropped, or maybe it was not as strong as we thought. Lovely to be out just the same. The 14m kite was working, but I couldn't go upwind. So I did some tacks and came into Middle Brighton Beach. The wind was stronger right next to the beach - it was being boosted by the proximity of the ridge behind the beach I think. A boisterous Rhodesian Ridgeback dog was chasing me as I tacked parallel to the beach and was barking frantically when I came in. I thought he might chomp me but he backed off. After the hordes of Europe, this outing felt like a wilderness experience.